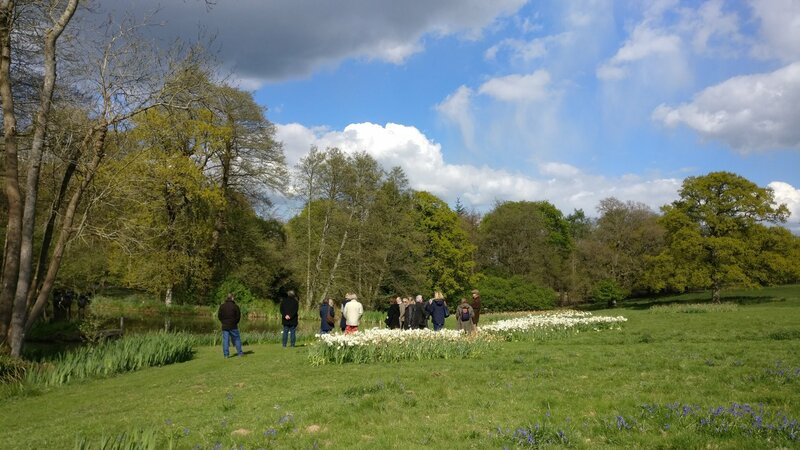 Our first trip of 2017 got off to a brilliant start, the weather either side of the day was not great, but on the day it was glorious. 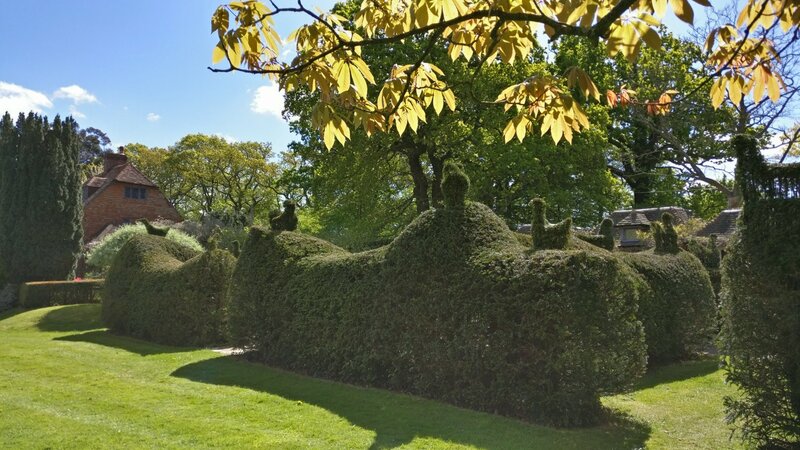 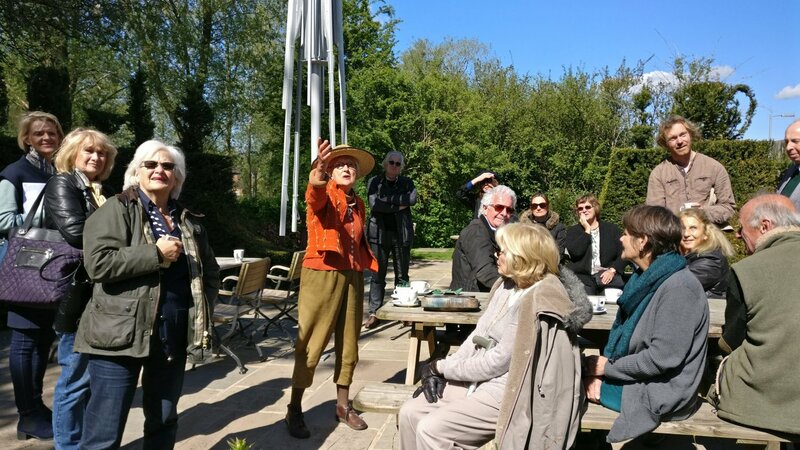 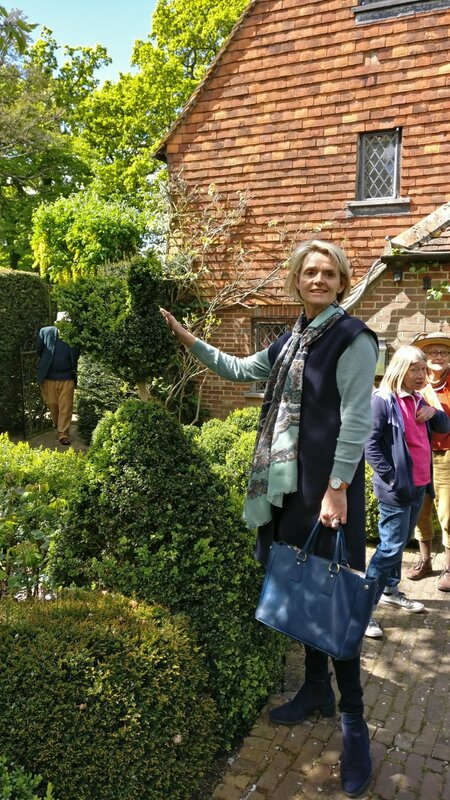 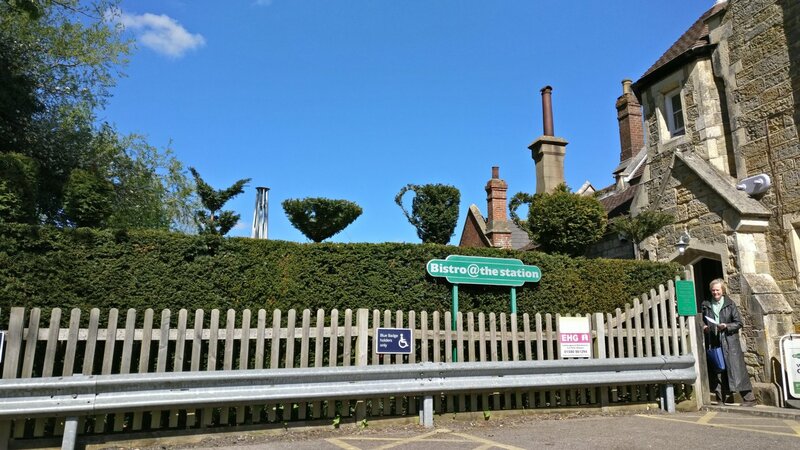 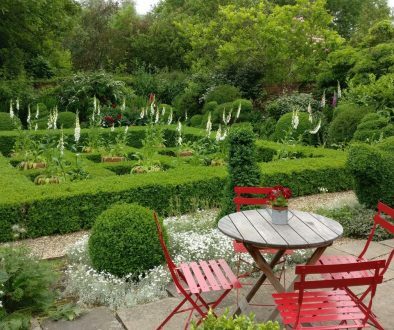 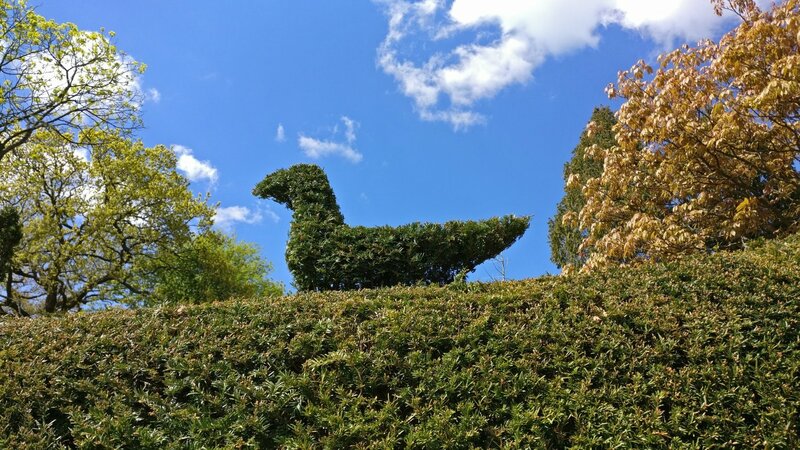 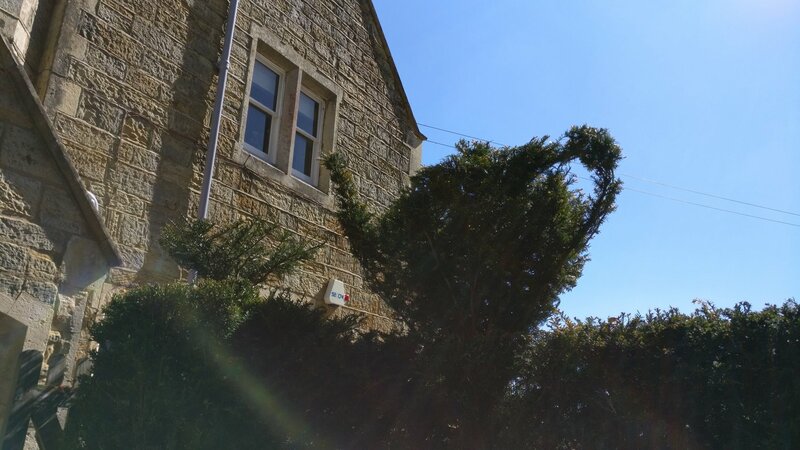 We started with tea, coffee & cake at the Bistro @ Etchingham station, where EBTS member Charlotte Molesworth has sprinkled her topiary magic over the yew bushes that surround the tea room garden. 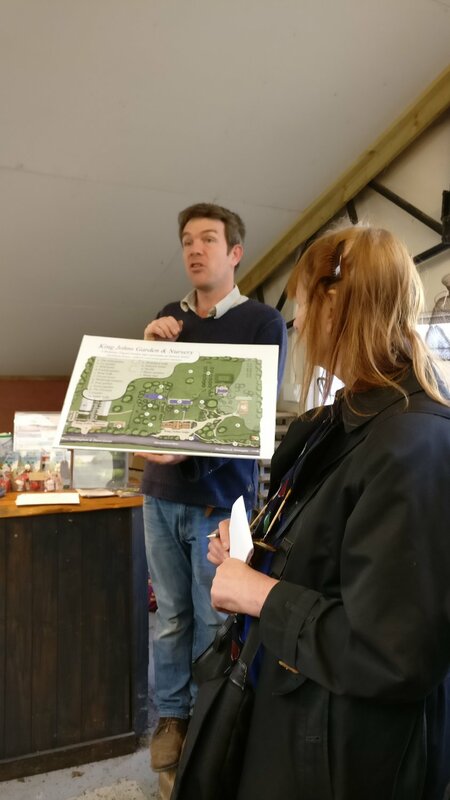 Peter Baldock (ex-Head Gardener at Pashley Park Gardens) & Charlotte explained how the small station garden has been designed and built by English Heritage Gardens. 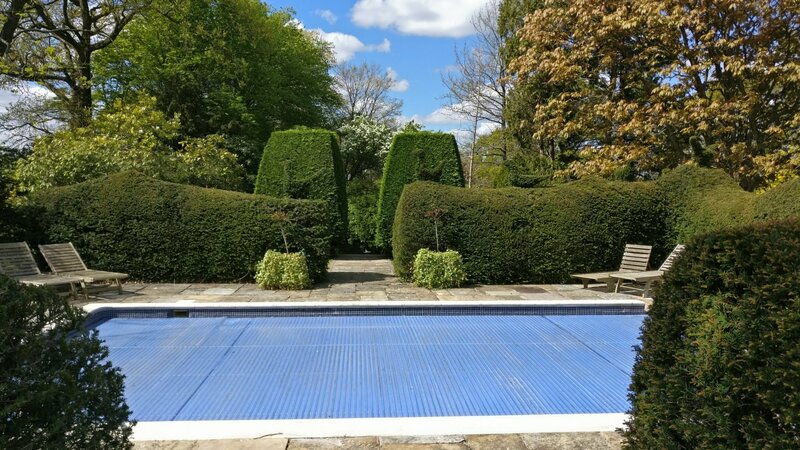 Our next stop was another house where Charlotte has done some clipping, this time round the pool area. 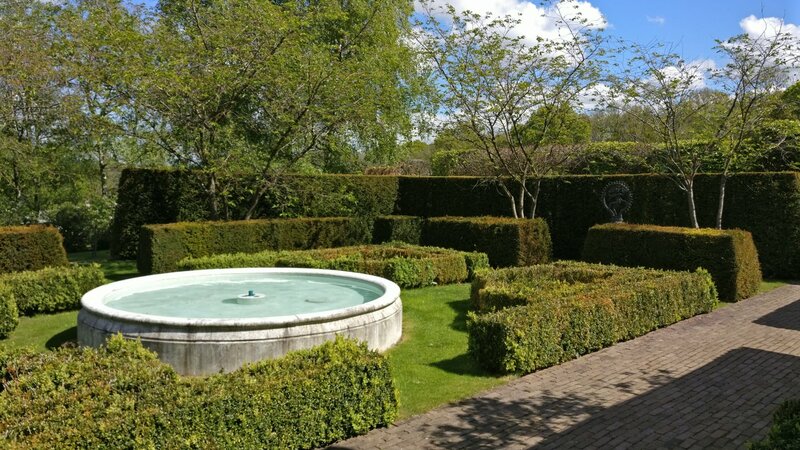 The gardens were designed by Luciano Giubbilei, three times Chelsea gold winner. 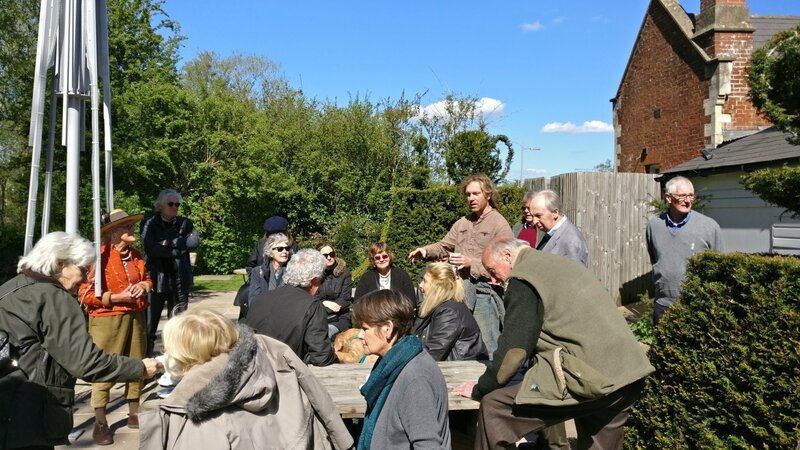 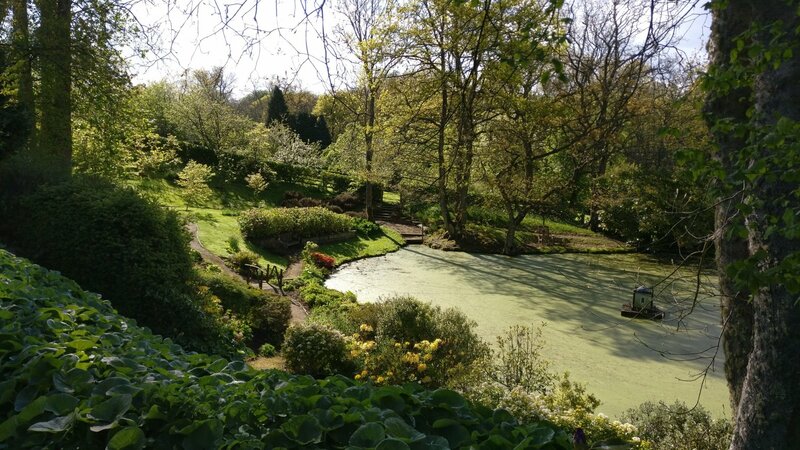 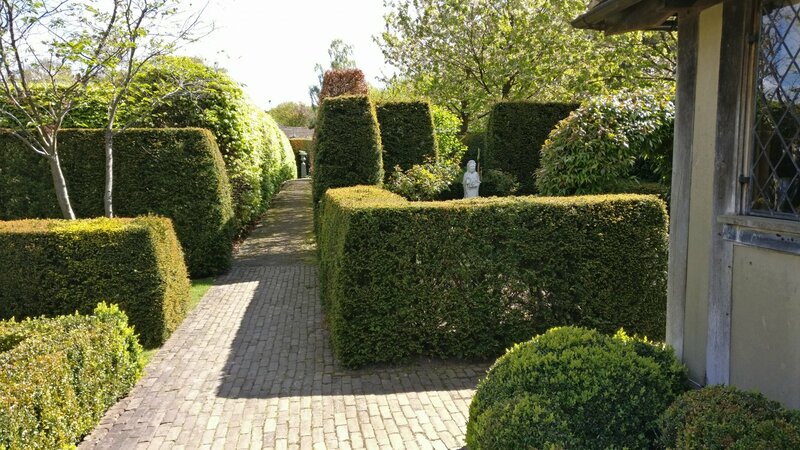 We learnt from the owners, Cinda Musters & her husband, about the efforts they have gone to in sorting out the drainage for the garden to allow the box and yew to flourish. 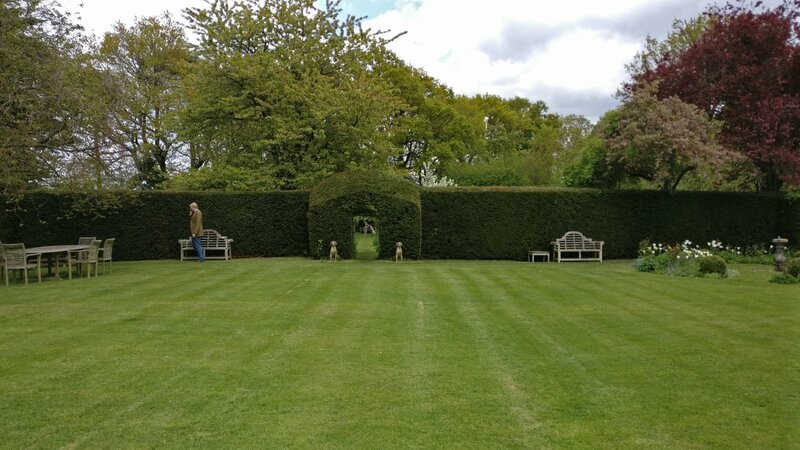 Cinda had also laid on a large selection of photos of the house and gardens as they have developed over the years. 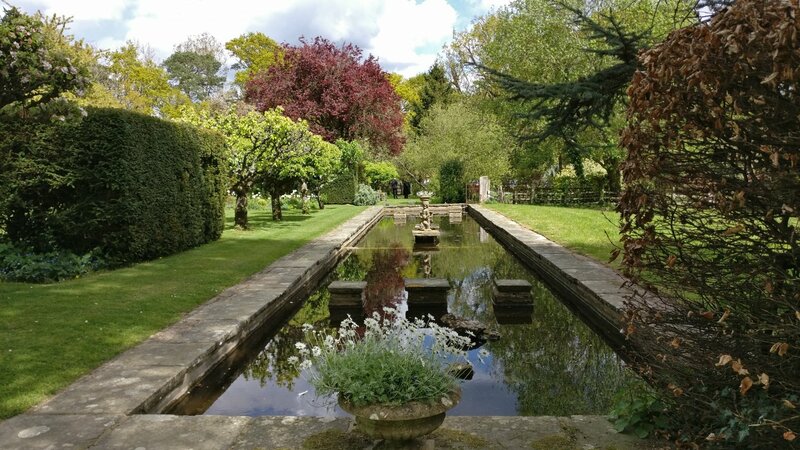 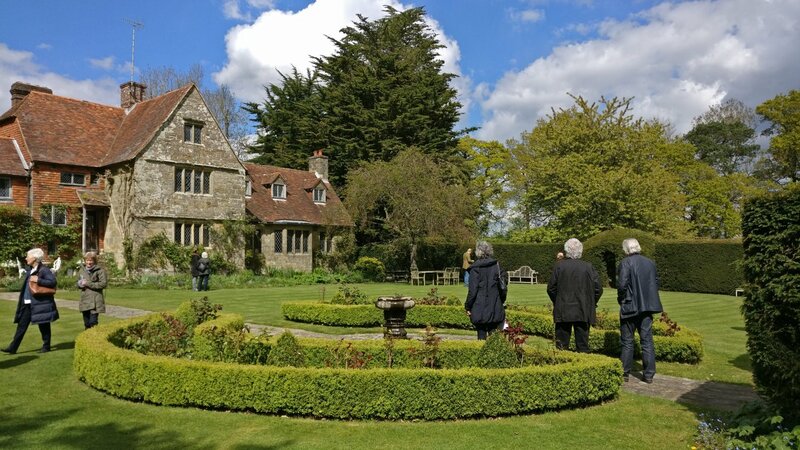 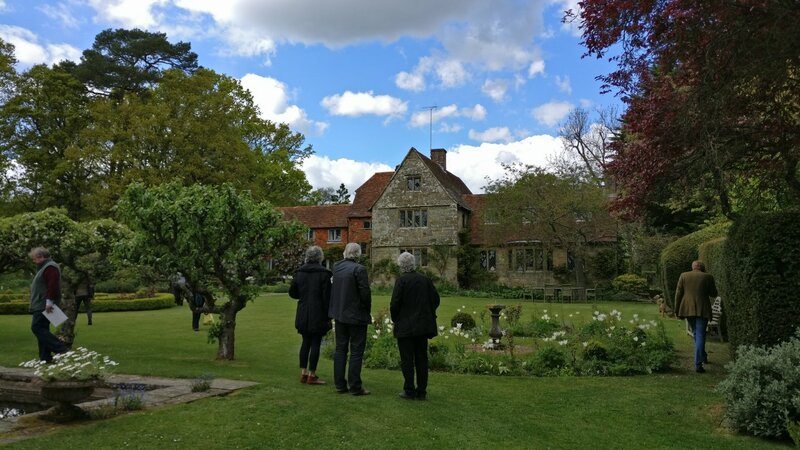 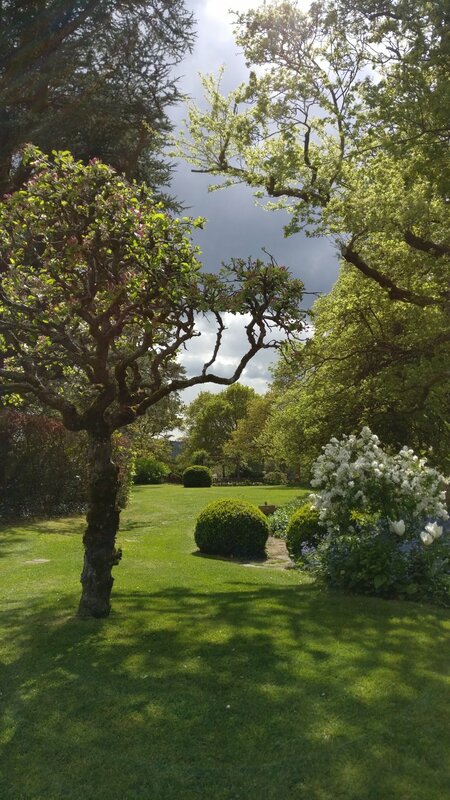 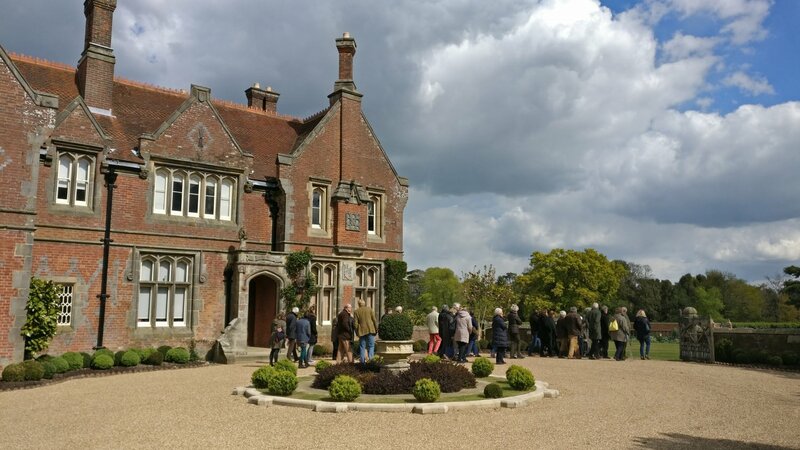 Lunch was at the King John’s Gardens and Nursery in Etchingham where the owners son Harry gave us some of the history of how his family had grown up in the most delightful surroundings. 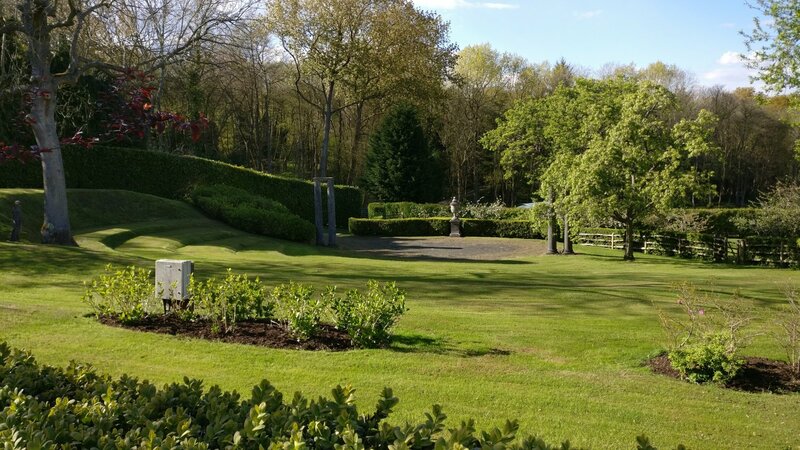 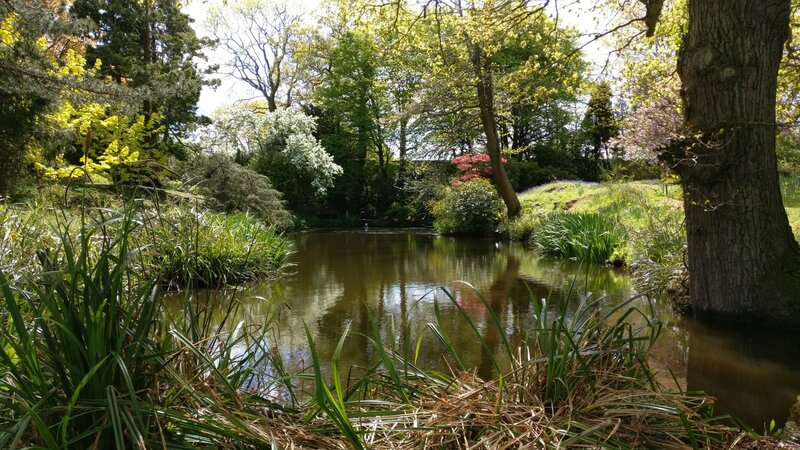 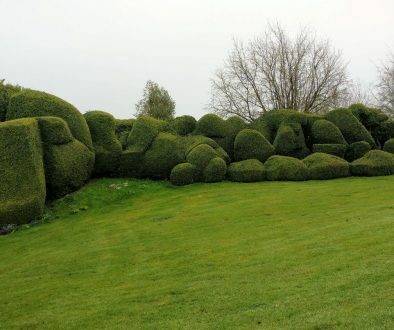 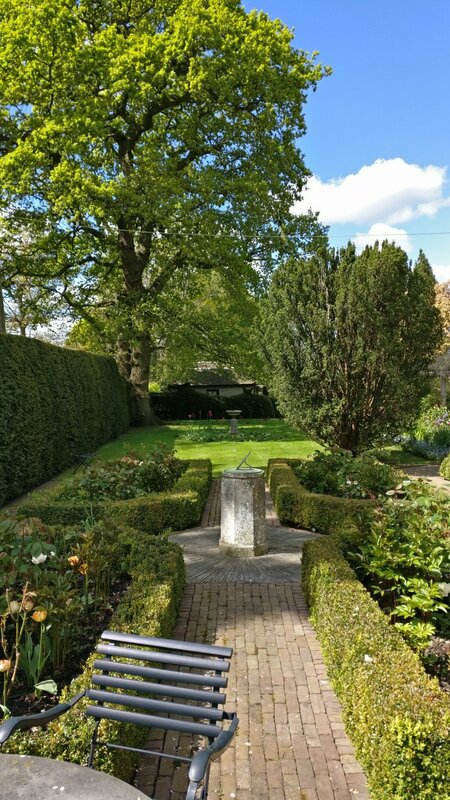 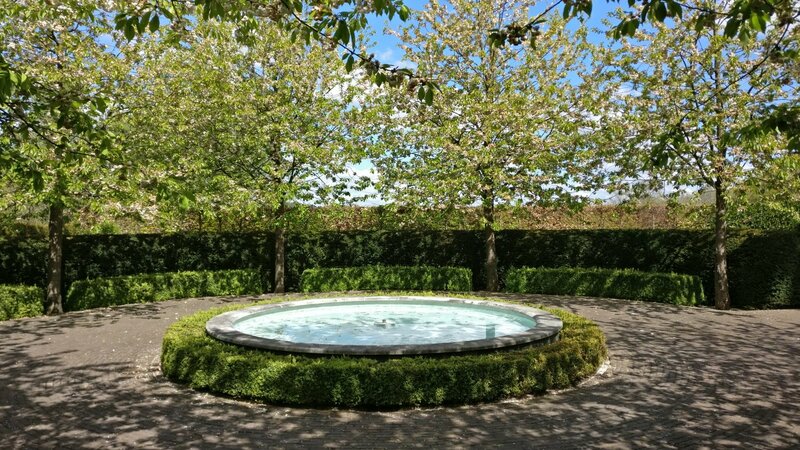 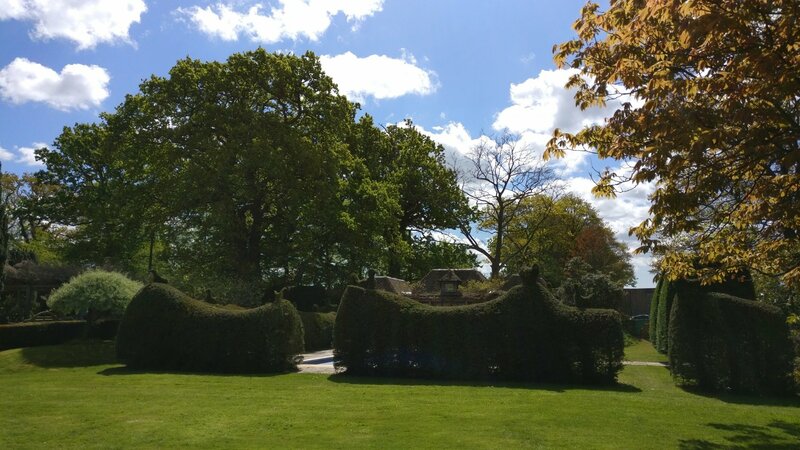 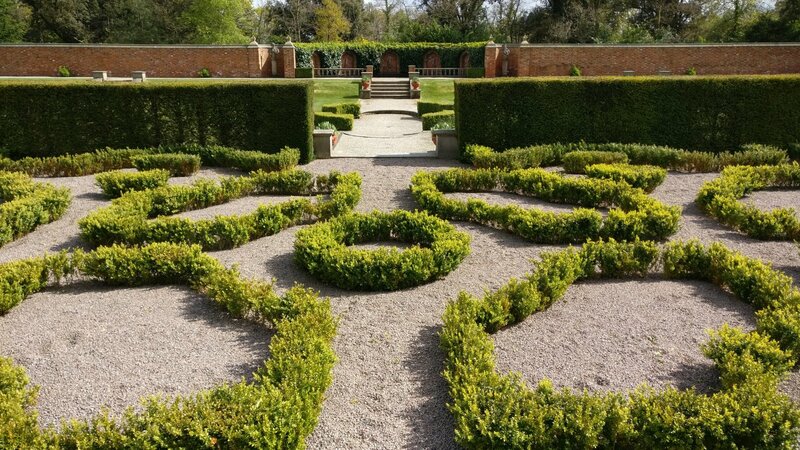 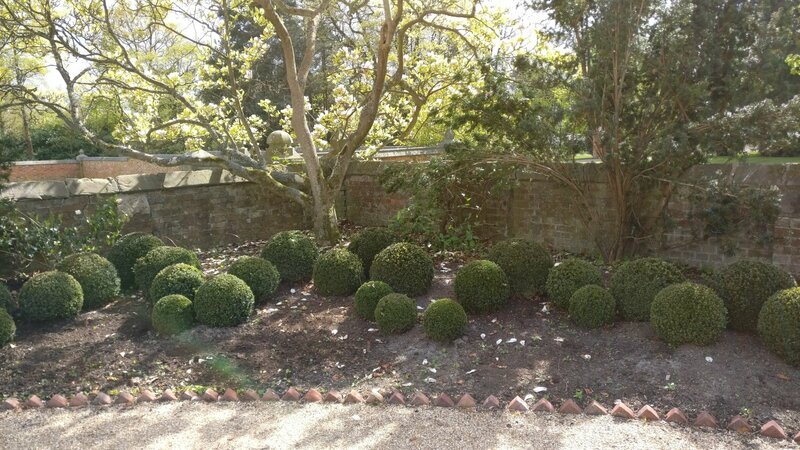 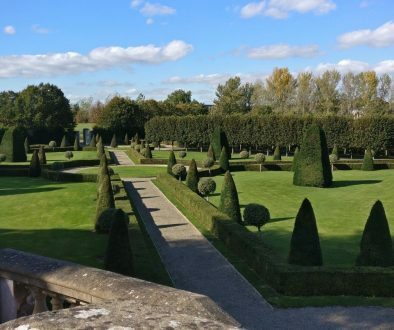 Our last garden was Frankham Manor, Mark Cross where owner Prudence has created extensive formal gardens, which include a sunken walled garden with a boxwood parterre created to celebrate the Millennium. 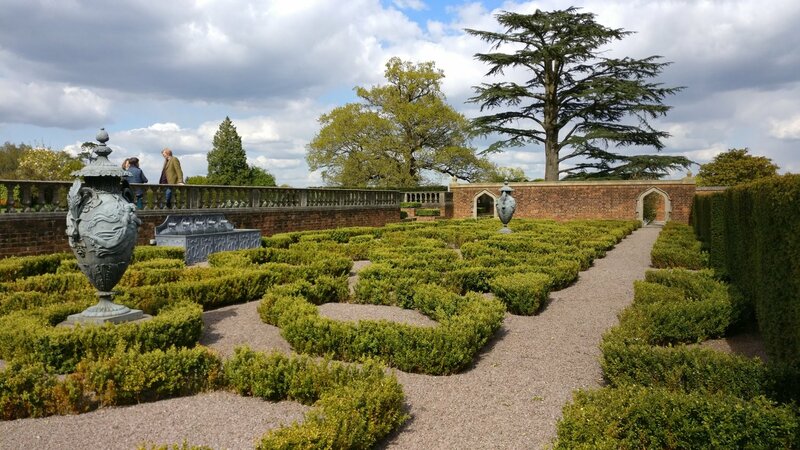 There was also an open amphitheatre, water features and orchards. 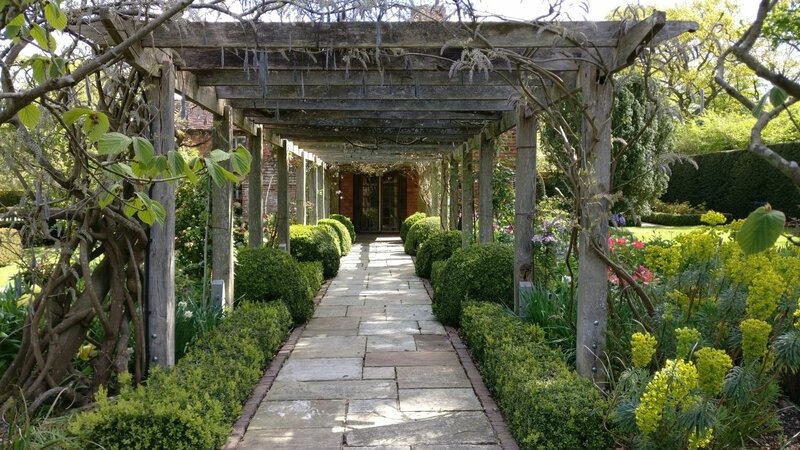 Afternoon tea was taken on the terrace, which overlooks the rolling Sussex landscape. 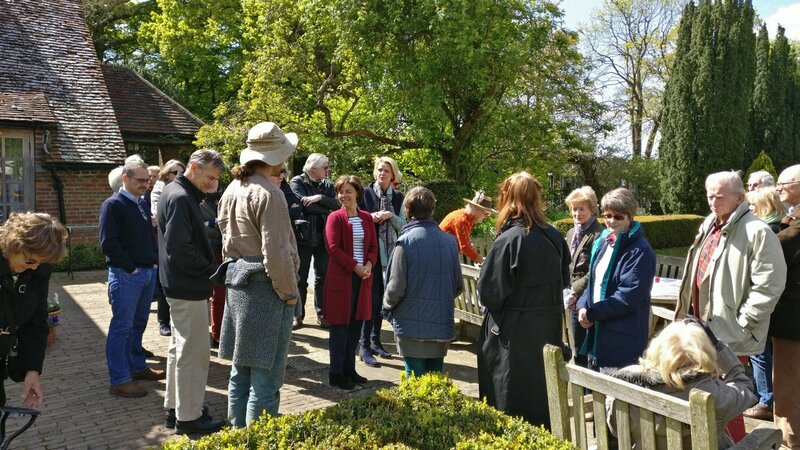 Thanks to Rowena Ray for arranging the marvellous visit, which was much in demand (even having added an extra 10 places it was over subscribed). 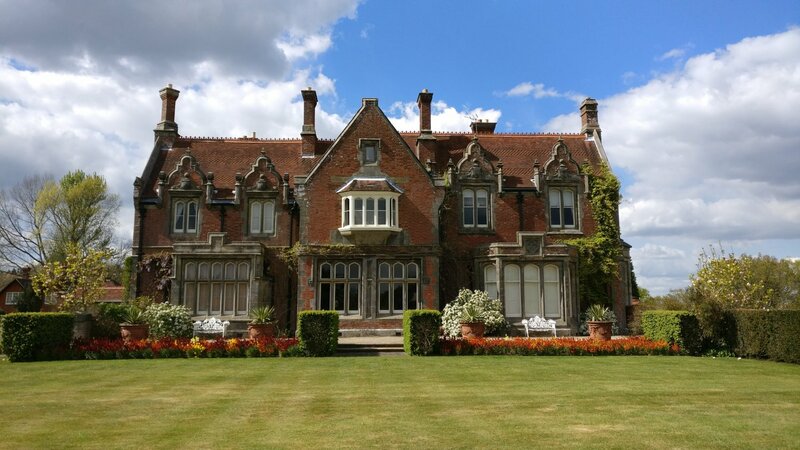 So with a almost no persuasion Rowena has agreed to put together some more East Sussex gardens for us to enjoy next year.